The South American country of Peru may be best known as the home of the mountaintop Inca citadel, Machu Picchu. But it has so much more to offer, from colonial towns and undiscovered beaches, to modern metropolises and quiet farming regions. And as more people discover its charms—and advantages—it has become an increasingly viable option for those seeking a place to retire abroad. One reason is the cost. A retired couple can live well in Peru, including expenses like rent, transportation, food, and medical care, for $1,500 a month or less—and that’s without scrimping and saving. Of course, the low cost is just part of the equation. The Peruvian people are warm and friendly, with a tradition of welcoming hospitality towards foreign neighbors. The cuisine, including dishes like ceviche, is world-renowned. It is safe and secure, even in the big cities. The indigenous culture is vibrant, with unique traditions that mix Catholicism and ancient beliefs. Modern conveniences like high-speed internet and cellphone are available and reliable—so you don’t have to “rough it.” The infrastructure is good, with good highways and frequent—and cheap—in-country flights. The weather also suits all tastes, with diverse climates ranging from the warm weather coast, to the cool mountains, to the eternal spring of the high sierra. About twice the size of Texas, Peru offers a variety of destinations to fit the lifestyle needs of a wide variety of people. 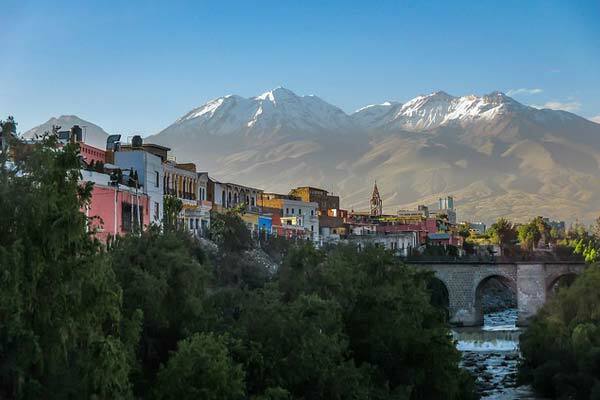 One city that’s on the radar of in-the-know expats is Arequipa. The climate couldn’t get much better here. It boasts 300 days of sunshine a year, with temperatures in the mid-70s F for most of the year (June and July are colder months). The colonial centro is walkable and well-kept, with charming parks and plazas, and plenty of sidewalk cafés to enjoy the weather. Cusco is also a popular spot with expats. The capital of the old Inca Empire, it became an important city for the Spanish in colonial times. The core of the city is full of restored historic structures. Think neighborhoods of white-washed homes with red barrel tile roofs, grand civic buildings, and ornate cathedrals and churches, crisscrossed narrow cobble-stoned streets and walkways. Colonial structures have been turned into hip restaurants, shops, and even homes. 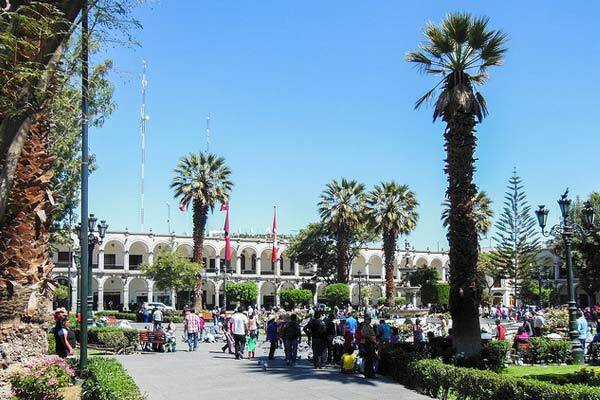 And, like Arequipa, the centro is surrounded by a modern city with any convenience you might need. Near Cusco, about two hours away by car, is the awe-inspiring and largely undeveloped Sacred Valley of the Incas. Traditionally an agricultural region—with a heritage going back to the Inca and even earlier indigenous people (Machu Picchu can be found at one end of the valley)—it has become a favorite of expats who want to farm the land. You can also experience quaint village life in places like Urubamba and Pisac. The majestic views of the surrounding mountains and the meandering Urubamba River are something that never gets old. And even though you’re off-the-beaten path, you can still find modern conveniences like reliable electricity and high-speed internet. If you like the beach life, the colonial gem of Trujillo in the northwest of the country could be your place. Its colonial center is bustling. 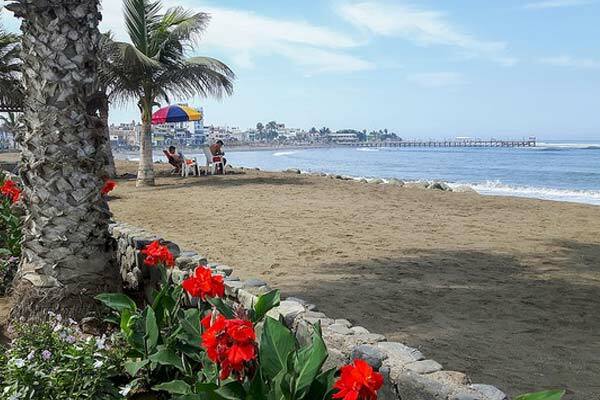 And just to the north you can find the town of Huanchaco, which is popular with city dwellers seeking a seaside escape. 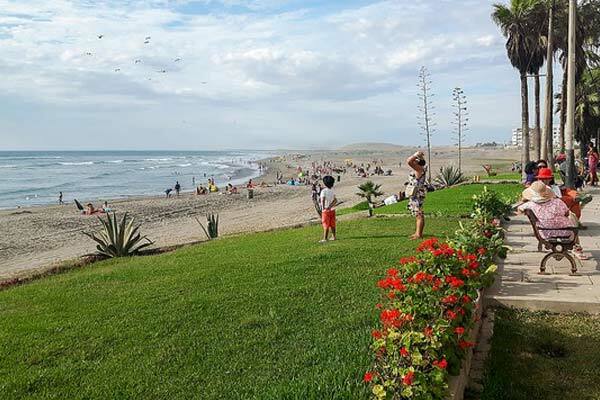 It’s a popular vacation spot for Peruvians for the same reason it’s nice to live there: freshly-caught and cheap seafood in the restaurants (many say ceviche was invented here) and the laidback beach lifestyle along an undeveloped coastline. Wherever you choose to live in Peru, your quality of life will be exceptional. Low costs, friendly people, and modern conveniences all come alongside a thriving traditional culture. If you’re ready for an adventure outside the mainstream, beloved by those who’ve discovered it, this South American country is worth a closer look. If you want to move to Peru, there are a number of ways to do it. Even with a humble Tourist Visa, you can stay up to 183 days per year. This is as long as many part-time expats stay anywhere while still maintaining their resident rights in their home country. If you only want to live in Peru for six months of the year then look no further; a Tourist Visa will suit you just fine. But for those who want to stick around all year, there are lots of options. Retired? Receiving a pension of at least $1,000 per month? You are good to go with a Rentista Visa. This is Peru’s answer to the retirement visa offered by other countries. You need to be in the country at least six months each year and you cannot work but other than that, there are no restrictions. And after three years, you can obtain a permanent visa or even citizenship. Other available visas include the Independent Investor Visa, Student Visa, Religious Visa, and Family Visa. Don’t expect any English when you enter the hallowed halls of Peru immigration. You will either need to speak Spanish yourself or have a Spanish-speaking friend help you out. If neither is a viable option, you may choose to hire an English speaking Peruvian attorney to help you through the process. Find a Lima attorney who knows their way around the immigration system and it is well worth the money. It will cost less than $800 for a couple from start to finish and take about two months to complete. You don’t even have to be a resident to buy property in Peru. If you have cash on hand and see something you like, you can purchase that beachfront property while visiting the country on a tourist visa. One of the few restrictions is that you won’t be able to purchase anything within 30 miles of the border. You will also need to get a “Permiso para firmar contratos” stamp in your passport. The stamp is necessary for signing any legal documents. This takes one day to get at the Migraciones office in Lima and is only good for 30 days. But we don’t recommend rushing out and buying anything until you have given the area a trial run for at least several months. Getting a mortgage in Peru as a foreigner will be difficult if not impossible. A middle-class American or Canadian citizen has little if any access to Peruvian real estate lending. Furthermore, the interest will be quite a bit higher than in the States. Be prepared to pay the total price in cash. You also need to be aware that squatters have rights in Peru not afforded under U.S. law. 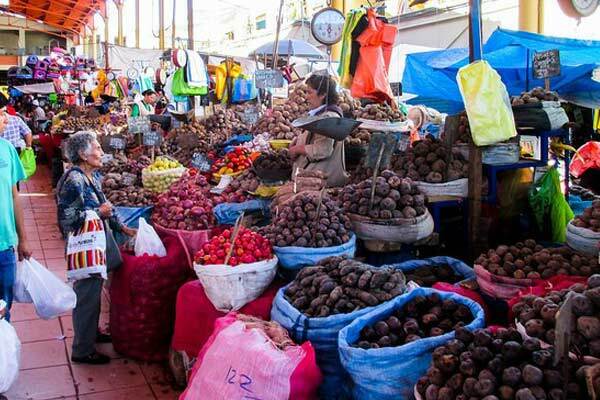 A couple can live very inexpensively in most regions of Peru. With a little research, you can find houses and apartments as low as $250 per month. Even a two or three-bedroom furnished condo will only set you back $500 or $600 per month in the center of Arequipa, Peru’s second largest city. Fresh fruits and veggies are available at countless markets in every town and city for budget prices. Generic brands of everything from toothpaste to pharmaceuticals will be much cheaper than those you find at home. And organic produce is not generally difficult to find. A visit to the doctor can cost you as little as $12 and you will never feel rushed. Basic outpatient services such as X-rays and blood tests are also very inexpensive. Most prescription drugs are available over-the-counter at a much lower cost. Head to the nearest supermarket to pick up that favorite imported product from the U.S. and you will pay top dollar. Many are available but are much more expensive than back home. Shop at the markets, learn to cook like a local, dine out at the non-tourist restaurants, and your monthly budget will decrease substantially. Peru’s public healthcare system is one of the least funded in Latin America. Public hospitals can be poorly staffed and poorly equipped with long waits for almost anything. Fortunately, there is a good network of excellent private clinics and hospitals around the country that provide quality healthcare at reasonable prices. Anybody can receive care at a public hospital for very low cost but it is recommended that expats invest in one of the healthcare plans available from the dozens of private insurance companies. These plans can cost less than $100 per month but generally will be two or three times that for an older couple. Some hospital networks have their own private insurance plans with similar prices. Con: Insurance Becomes More Expensive and More Difficult to Obtain as You Age. After the age of 65, it is sometimes difficult to begin a new healthcare plan. That is easily remedied by moving here early. Once you are registered with a carrier, insurance plans can easily be renewed beyond that age. Of course, costs increase quite a bit after you reach 70. With fresh ingredients from the sea, mountains, and jungle fused together by a variety of cultures over centuries of time, Peruvian cuisine is reaching its apex. It seems that Peruvian restaurants are becoming more popular in other parts of the world as well. Add in the bakeries on every city block, the wide assortment of traditional cakes available and the Peruvian habit of coffee and cake for the evening meal, and you soon find out you can’t lose weight here. Remember most families still have their large meal in the middle of the day. Dinner often consists of coffee and a snack. Whether you are enjoying a $3 lunch at a local picanteria or going all out at a high-end restaurant in Lima, you won’t be disappointed with the potpourri of flavors. And it’s difficult for a couple to spend more than $50 at a restaurant, even for a great meal with drinks. Apart from a few big chains such as Chiles, the big M, and Pizza Hut, you still don’t find a lot of international food in most parts of Peru. It is a very traditional country when it comes to food. Although a few expat-owned cafes and restaurants serving “Western” food are beginning to randomly appear, there is certainly room for many more. Lima has a growing number of foreign restaurants but once you get into the provinces, you are pretty much out of luck. Read More : Video: Is it Safe to Live in Peru? With winter around the corner, you might already be pulling out the coats and boots, budgeting for heating costs…prepping for the cold, dark months ahead. Blizzards, ice storms, slippery roads and sidewalks. But what if you could avoid all that?